I have a long list of video tutorials that I want to create for the ChemKnits YouTube Channel. Some of these ideas I came up with, but others are requests that I get pouring in from YOU, my readers and followers. It brings me great joy that you guys come to me with questions and for help, so I like to try to help you out as much as I can. 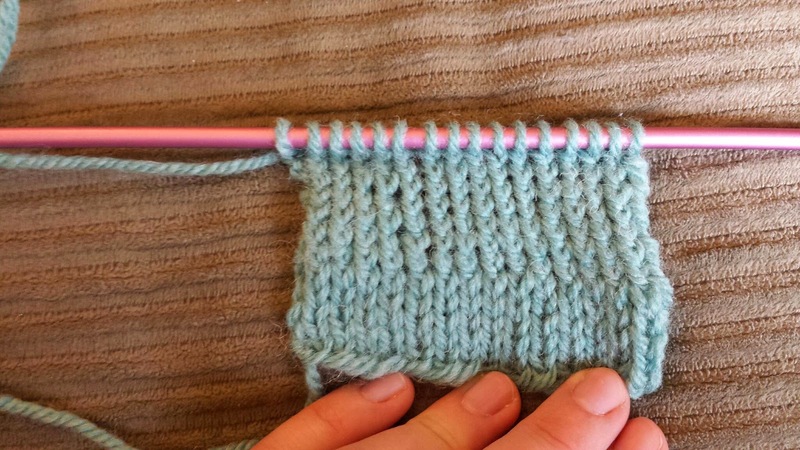 I recently got asked how to purl through the back loop (stay tuned for tomorrow's post), and while I was creating a swatch for the video I decided that I should also film how to knit through the back loop (k-tbl). The above swatch has two sections. At the bottom there are a few rows of conventional stockinette (k across on the right side, p across on the wrong side.) The top half of the swatch is knit and purled through the back loop (k-tbl on the right side, p-tbl on the wrong side.) Watch the video to see more of the difference between "normal" stitches and creating twisted stitches by knitting and purling through the back loop.